An earlier version of this article that appeared in the March 25 issue of SpaceNews reported that the White House was seeking $1.2 billion for NESDIS. The Trump administration’s 2020 budget plan would reduce funding by about 17 percent for the National Oceanic and Atmospheric Administration organization that buys and operates weather satellites. In the 2020 budget request delivered to Congress March 11, the White House proposes $1.47 billion funding for the National Environmental Satellite, Data, and Information Service (NESDIS), compared with nearly $1.77 billion in the omnibus spending legislation for 2019 enacted in February. The 2020 budget blueprint includes nearly $218 million for the NOAA Satellite Observing System and Architecture Study to plan for the generation of operational satellites beyond Geostationary Operational Environmental Satellite-R and the Joint Polar Satellite System. NOAA’s 2020 budget proposal includes $12.3 million “to test and evaluate innovative space based solutions and partnerships in the polar and geostationary orbits.” It also includes $3 million to purchase weather data from commercial companies and $5 million to purchase data after successful testing. “It is critical to begin now to design a more affordable and more effective data acquisition strategy and to minimize risk of potential observation shortfalls after the currently planned polar and geostationary satellite fleets,” Neil Jacobs, NOAA assistant commerce secretary for environmental observations and predictions, said in a prepared statement for the House Appropriations commerce, justice and science subcommittee’s March 27 hearing on the NOAA budget. The Commerce Department released its 2020 budget plan March 25. As of March 27, NOAA had yet to release its justification document or Blue Book. Jacobs told the House subcommittee the document would be delivered to Congress “soon” and perhaps by the end of the week. NOAA has made significant progress in recent years updating its fleets of geostationary and polar-orbiting weather satellites. In November 2017 and March 2018, the agency launched the first two satellites in its latest generation of Geostationary Operational Environmental Satellites. Both are now operational, covering much of North and South America and the surrounding oceans. In November 2017, NOAA launched the first spacecraft of its new generation Joint Polar Satellite System for global weather monitoring. NOAA declared the satellite, NOAA-20, operational in May 2018. Despite that progress, NESDIS has more work ahead to finish updating its current low Earth orbit and geostationary orbit constellations and plan for the future. NOAA plans to launch JPSS-2 in 2023, followed by JPSS-3 in 2026 and JPSS-4 in 2031. NOAA also is preparing to launch in 2019 six Constellation Observing System for Meteorology, Ionosphere, and Climate-2 (COSMIC-2) radio occultation satellites in a joint program with Taiwan. Over the last year, the Trump administration and congressional committees have discussed modifying funding for polar satellites. 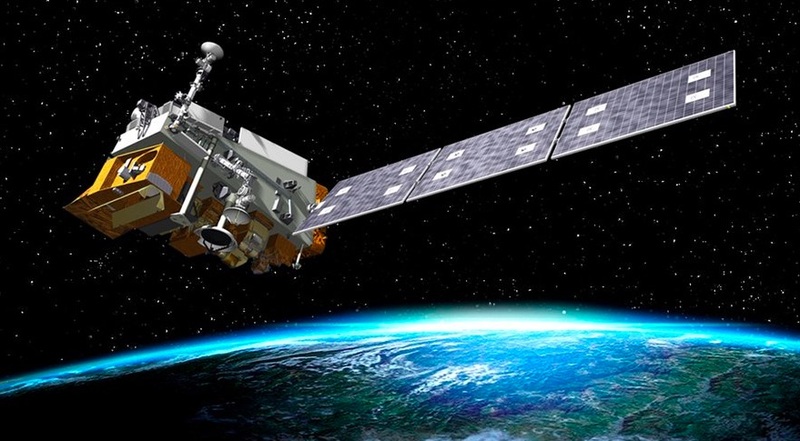 NOAA currently pays for JPSS-1 and -2 through its JPSS program. The budget for JPSS-3 and -4 is in a program line called Polar Follow-on. In its 2019 budget plan, the Trump administration recommended merging the two programs. Congress did not sanction the merger in its 2019 budget report but asked NOAA to provide “a revised proposal that clearly identifies the cost and programmatic efficiencies that would be gained by combining these programs into one funding line,” along with its 2020 budget request.